2 Beds 3 Baths 1 Partial Bath 1,243 Sq. ft.
Immaculate, upgraded Townhouse in desirable Charlton! Fantastic, custom kitchen is a chef's dream! Stainless appliances include a Viking gas stove w/griddle, Viking hood w/warming lights, Fabuwood custom cabinets, granite counters, recessed lighting, double ovens, iron pot rack, storage pantry & eat-in peninsula. CENTRAL AIR, new hardwood floors throughout the 1st floor, new 1/2 bath, convenient 1st floor office/den and sun-filled, family room. Double master bedrooms w/spacious walk-in closets and full baths. Master bath has been fully renovated with tiled, walk-in frameless glass shower, granite counters and lovely cherry cabinets. Partially finished, walk-out lower level MAN TOWN w/bar and bar fridge included! Private, outdoor deck space, in-unit laundry includes washer and dryer, super workshop area w/workbench & storage closet! 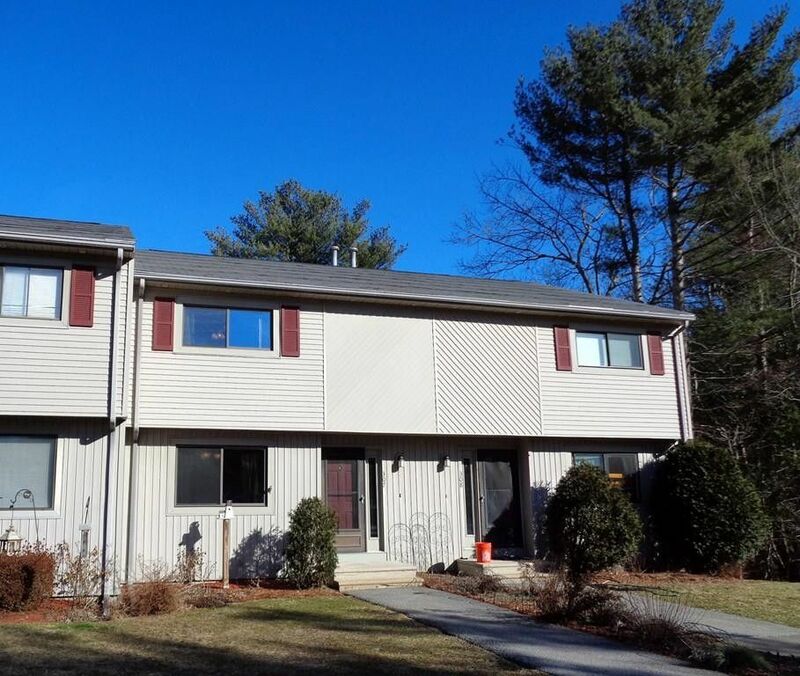 Freshly painted interior and convenient commuter location near Rt 20 & the MASS Pike in Sturbridge and Auburn. Estate sale, motivated seller!